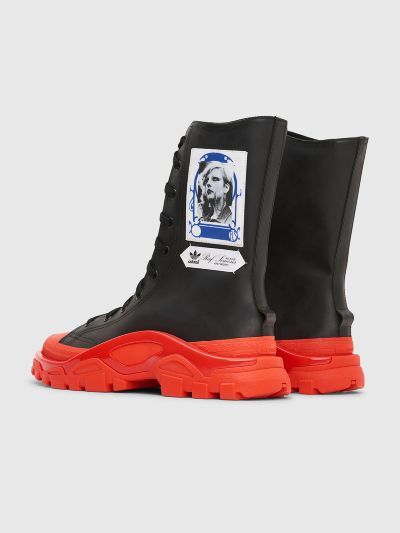 Sneakers from Adidas x Raf Simons. 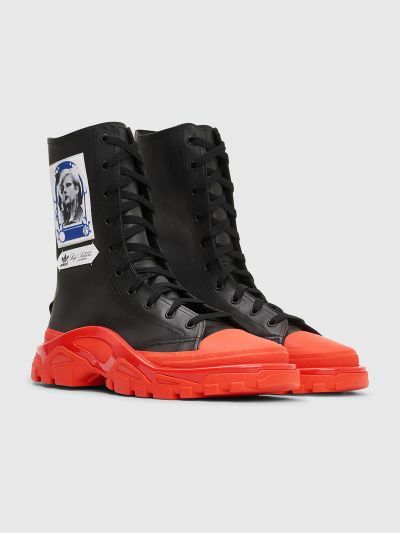 Rubber high top sneaker boot with lace up front and textile patches on the lateral side. Contrasting rubber toe cap, midsole and outsole. 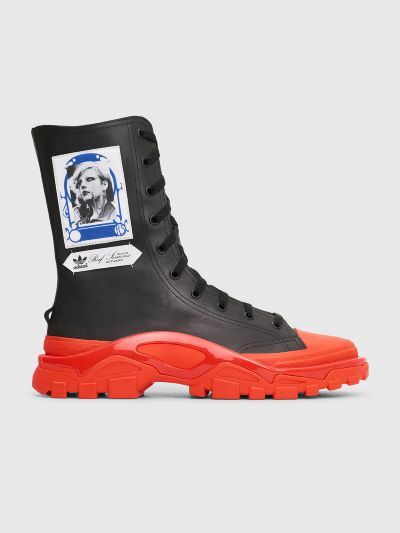 Comes with one extra set of laces in black. 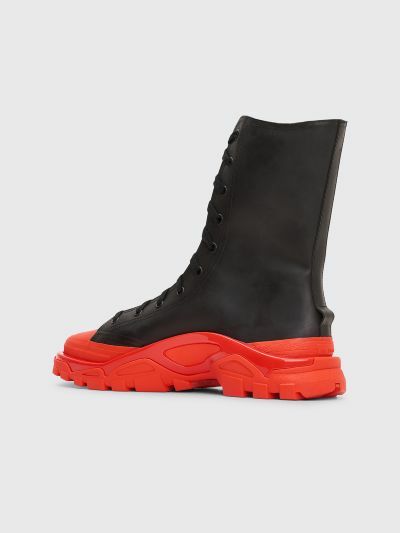 Black and read sneaker boots. 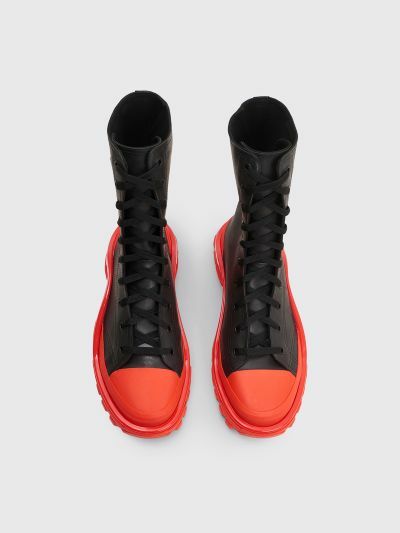 Rubber upper, textile lining and insole and a rubber outsole.